(Hancock, NY, February 16, 2017) We first give thanks to the Almighty Creator for He is indeed always with us and He is the ultimate Protector of mankind. We are exceedingly grateful and blessed to have been guided by our Imam El Sheikh Syed Mubarik Ali Shah Gillani, a humanitarian and founder of Islamberg who encouraged families of African American Muslims to leave the decadence of the inner cities for a peaceful and faithful life in the beautiful Muslim village of Islamberg. We would like to thank Judge Curtis Lynn Collier, the Department of Justice Prosecutor Saeed Mody, Assistant US Attorney Piper Perry and FBI Special Agent James Smith for their professionalism and seeing this case through by using all the tools available to them to provide Mr. Doggart with a fair trial. A jury of Robert Doggart’s peers in Chattanooga Tennessee have found him guilty on all four counts including one count of solicitation to commit arson, one count of solicitation to commit a civil rights violation and two counts of threat in interstate commerce. We would like to extend our appreciation and respect to the jury for honestly deliberating and taking up the task of finding Mr. Doggart guilty. We appreciate your service and the time spent reviewing the overwhelming facts of the case. In April 2015, the residents of the village of Islamberg located in Hancock, NY received notification that our mosque and school were the targets of a treacherous plot crafted by Robert Doggart. It cannot be overemphasized how important this win is, for we have had our lives changed forever, our peace and security shattered, our place of religious worship threatened, and our children personally affected by Mr. Doggart and his accomplices. With today’s guilty verdict, our children- who are well abreast of the plot against them- now know that the justice system can be fair, color blind and has no religious test. The community of Islamberg has been very strong through this ordeal, especially considering that many of the accomplices of Mr. Doggart have never been arrested. Our resilience is rooted in our faith, in our untainted patriotism and in our continued efforts towards unity and peace between all mankind. Today’s verdict is a win in the struggle against Islamophobia and we hope it puts those who use hate to divide our country on notice that they cannot target Muslims or any other marginalized communities. We will continue to work together- Muslims, Christians, Jews, people of other faiths and people of moral conscious to rid our communities, media, and governmental policies of anything that perpetrates stereotyping, profiling and vilifying of Muslims and minorities. The United States Constitution is clear. It grants each of us the right to worship in peace. It is our duty to uphold the human and civil rights of all citizens so that churches, synagogues and all places of worship are sacred. 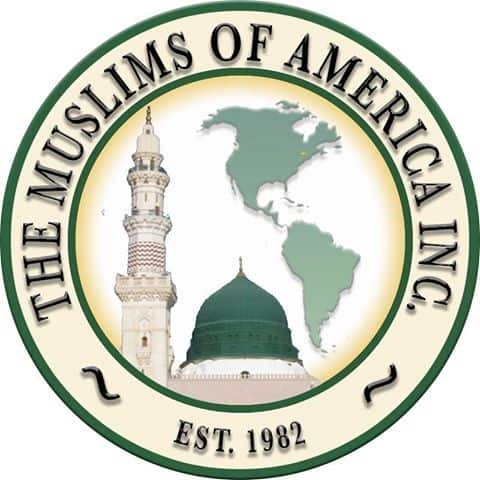 Therefore, The Muslims of America, Inc., heads to civil court, where our attorneys Tahirah Amatul-Wadud and Tahirah H. Clark will take up the case filed last March against Mr. Doggart in Binghamton, New York. The civil complaint charges Mr. Doggart with violation of 18 U.S. Code § 248, the “FACE” Act, which prohibits anyone, who by force or threat of force, or by physical obstruction intentionally injures, intimidates or interferes with or attempts to injure, intimidate or interfere with any person lawfully exercising or seeking to exercise the First Amendment right of religious freedom at a place of religious worship. There was one thing missing from today’s verdict, which was not available to the jury or the prosecutors. It is time to look closely at the law that allowed Robert Doggart to escape terrorism charges. There is a double standard that allows right-wing extremists to commit acts of terror, while avoiding prosecution in the same way as a Muslim who commits equal or lesser offenses. If we truly want our country to be safe, we must work to change this double standard by changing the law. Attorneys Amatul-Wadud and Clark have indicated they are prepared to work tirelessly to lobby Congress so that there are not two sets of rules when prosecuting extremists who terrorize American citizens. We support their efforts and are confident that millions of like-minded citizens will also support them. We believe in American values and that the inalienable rights of life, liberty and the pursuit of happiness should be available for all.